When the days become warmer and you~re in the mood to bust out the warm-weather wardrobe, the Band Together sandal will help highlight your ensemble. Nubuck upper in a slip-on silhouette with elastic straps for a comfortable fit. Soft fabric lining feels great against the foot. Padded leather footbed provides additional comfort where needed. Flexible TR outsole for a pleasurable walking experience. Imported. Measurements: Heel Height: 1 1 2 in Weight: 8.9 oz Product measurements were taken using size 8.5, width M. Please note that measurements may vary by size. Weight of footwear is based on a single item, not a pair. 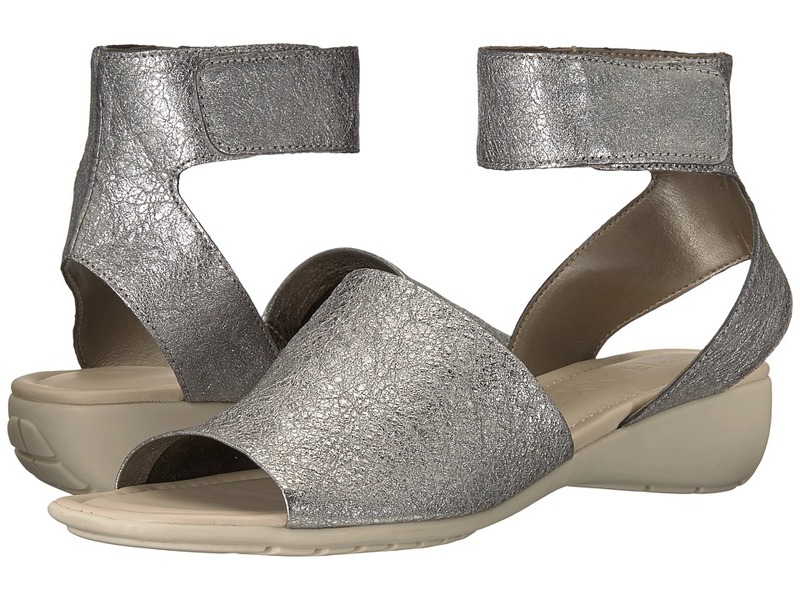 Bring a little contrast to your favorite sundress with this one-of-a-kind sandal. Premium leather upper features a hook-and-loop design for easy on and off. Soft fabric lining feels great against the foot. Padded leather footbed provides additional comfort where needed. Flexible TR outsole for a pleasurable walking experience. Imported. Measurements: Heel Height: 1 1 4 in Weight: 9 oz Platform Height: 1 2 in Product measurements were taken using size 9, width M. Please note that measurements may vary by size. Weight of footwear is based on a single item, not a pair. Create a tailored look this season with the unique Run Crazy Too lace-up from The FLEXX. Nubuck upper features perforations for breathability. Lace-up closure for an adjustable fit. Leather lining feels great against the foot. Lightly padded footbed for all-day cushioned comfort. Polyurethane midsole for additional support. PVC sole unit with sawtooth tread. Imported. Measurements: Heel Height: 1 1 2 in Weight: 15 oz Product measurements were taken using size 9, width M. Please note that measurements may vary by size. Weight of footwear is based on a single item, not a pair. You~ll be quite the smooth operator in these eye-catching slip-on sneakers by The FLEXX. Leather upper with woven details for added appeal. Easy slip-on with goring. Breathable leather lining. Padded insole. Synthetic outsole. Measurements: Weight: 8 oz Product measurements were taken using size 7.5, width M. Please note that measurements may vary by size. Weight of footwear is based on a single item, not a pair. Complete your look with the versatile style and timeless appeal of The FLEXX Bon Bon Plush shoe! Stylish skimmer silhouette. Uppers of Italian leather. Leather and synthetic linings provide a soft feel. Soft yet striking ornament adorns vamp. Cushioned arch support for additional comfort. Rubber outsole for long-lasting wear. Imported. Measurements: Weight: 7 oz Product measurements were taken using size 8.5, width M. Please note that measurements may vary by size. Weight of footwear is based on a single item, not a pair. Places to go and people to see? The Call Me sneaker is an on-trend choice for such things! Premium leather upper features laser-cut details for added style. 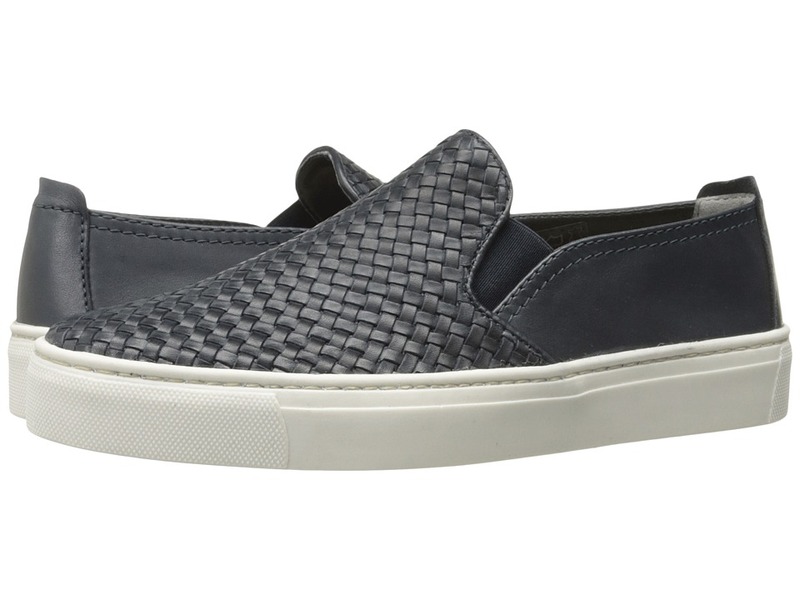 Easy slip-on construction with goring for a comfortable fit. Breathable leather lining and cushioned footbed for all-day comfort. Decorative woven midsole. Durable rubber outsole for a pleasurable walking experience. Imported. Measurements: Heel Height: 1 1 4 in Weight: 11 oz Product measurements were taken using size 8, width M. Please note that measurements may vary by size. Weight of footwear is based on a single item, not a pair. Live your comfortable life in the charming Chappie slip-on from The FLEXX. Italian leather upper. 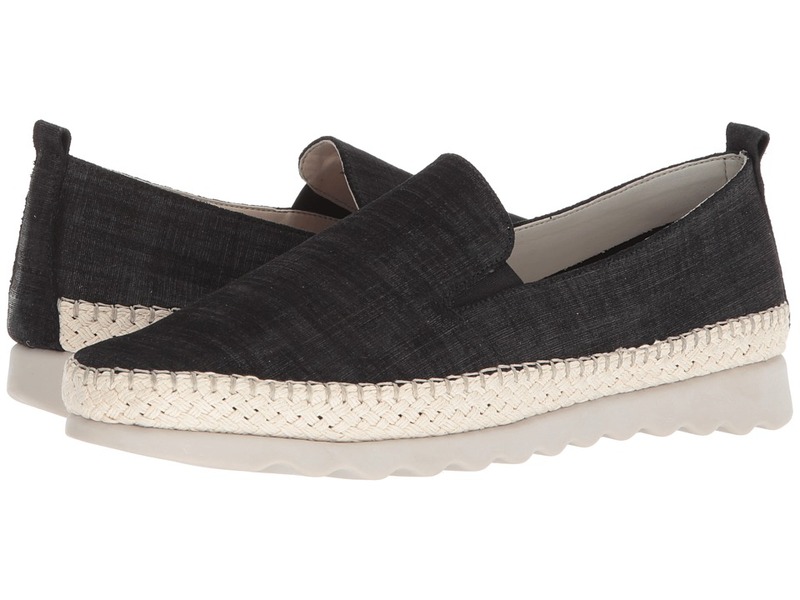 Easy slip-on construction with goring for a comfortable fit. Soft leather lining for all-day comfort. Lightly padded footbed with cushioned arch support. Jute-wrapped midsole. Durable rubber outsole. Imported. Measurements: Heel Height: 3 4 in Weight: 8 oz Product measurements were taken using size 7.5, width M. Please note that measurements may vary by size. Weight of footwear is based on a single item, not a pair. Make sure you~re always Front Row when sporting unique sense of style! Leather upper in a peep-toe silhouette with side cutouts. Side goring and a hook-and-loop closure provide a comfortable fit. 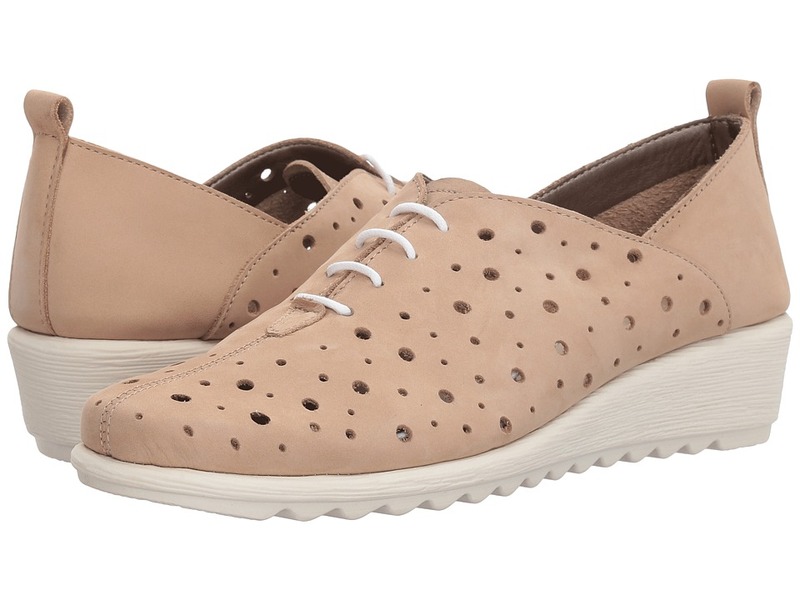 Breathable leather lining and cushioned footbed for all-day wear. Molded platform. Lightweight synthetic outsole. Imported. Measurements: Heel Height: 1 1 4 in Weight: 11 oz Platform Height: 3 4 in Product measurements were taken using size 8.5, width M. Please note that measurements may vary by size. Weight of footwear is based on a single item, not a pair. 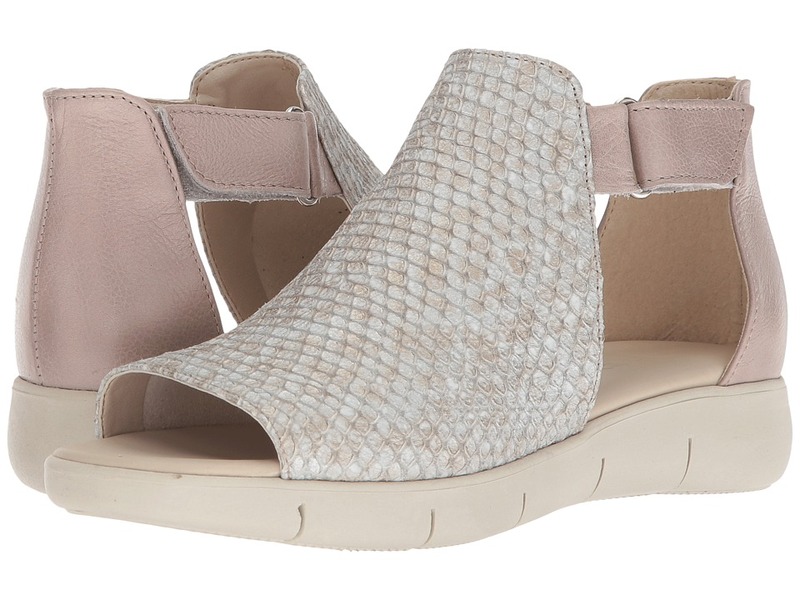 Flaunt your sassy little stride in the Weave Me Be sandal from The FLEXX. 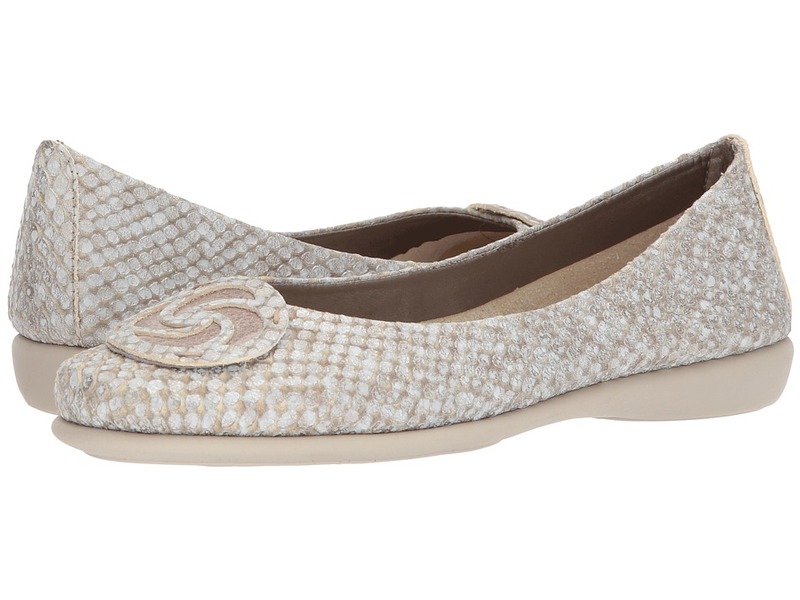 Leather upper in a peep-toe silhouette features woven details for added appeal. Adjustable buckle closure for the perfect fit. 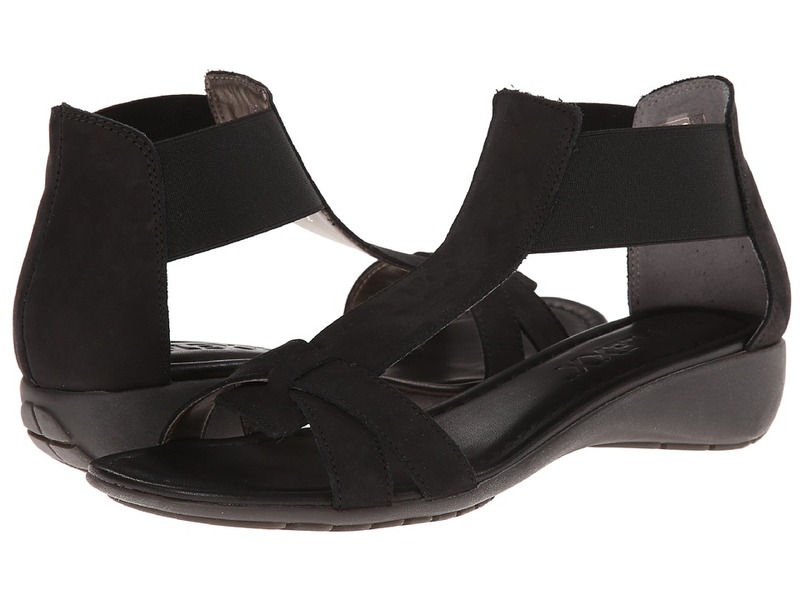 Breathable leather lining and cushioned footbed for all-day comfort. Stacked leather heel. Durable rubber outsole for a pleasurable walking experience. Imported. Measurements: Heel Height: 3 1 4 in Weight: 11 oz Product measurements were taken using size 7.5, width M. Please note that measurements may vary by size. Weight of footwear is based on a single item, not a pair.